Christmas in my office is a lot of fun (I work for an independent Real Estate firm, Rutledge Properties, doing their marketing). We are right in downtown Wellesley, Massachusetts with a lovely storefront, all decorated with a Christmas village of gingerbread houses made by children of the brokers, plus a real antique train set that still runs! My boss is very creative in arts and crafts and always uses the basement of the office (where I work) to create wonderful things for her grandchildren. 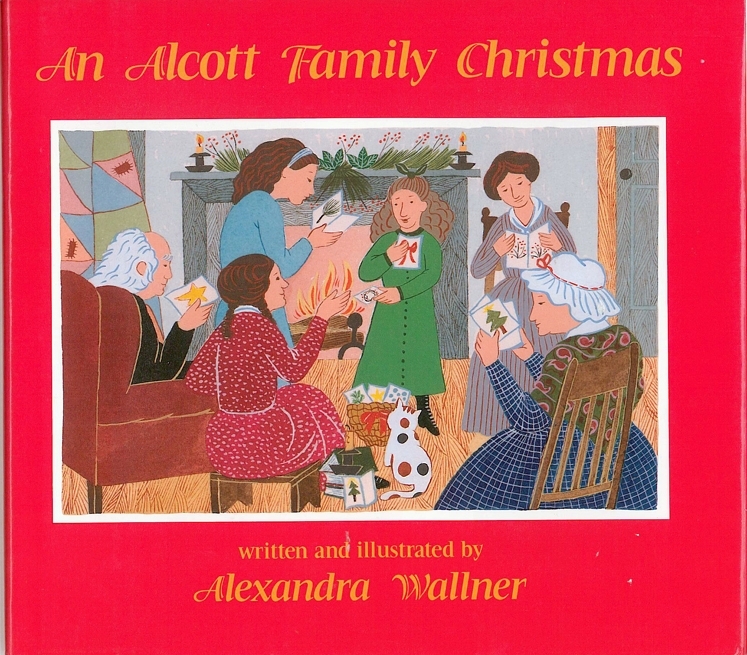 It’s just my luck she happens to love Little Women because I just happened to notice in the office today that she had bought a cute children’s book in bulk (apparently to give to her granddaughters for Christmas) called An Alcott Family Christmas by Alexandra Wallner. As the Alcotts are sitting at the table, ready to plunge into the first big meal they’ve had in weeks, a neighbor knocks at the door. His wife and baby are sick, and they need the Alcotts’ help. 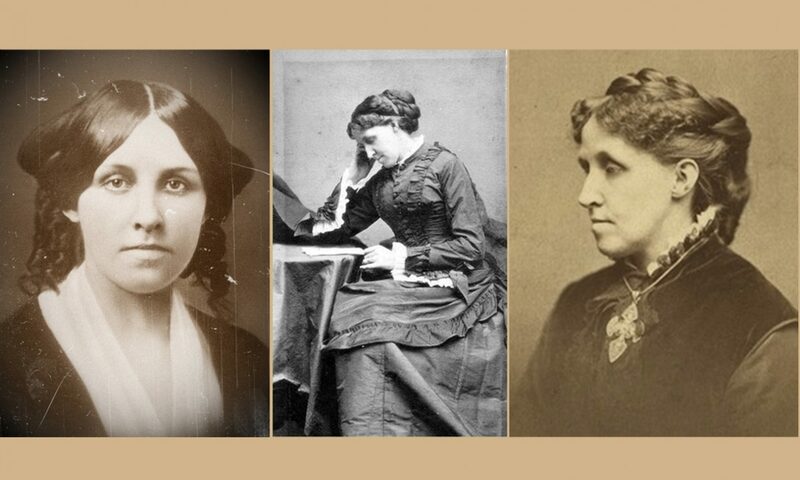 In the true spirit of Christmas, they family shares what little they have in this fictional episode of the life of the beloved writer Louisa May Alcott. You might say the author mixed in parts of chapter 1 of Little Woman with facts about the Alcott family (although I couldn’t quite figure out why Bronson was referred to as “Pa” – I would have preferred “Father”). 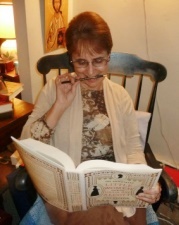 It appears to have taken place at Hillside (the author features a picture of the house). When they give away their dinner to the neighbor, I thought of Louisa giving away the last cake to the child at the Temple School, depriving herself of the treat. I could just taste that luscious goose when it was placed on the dinner table! That looks cute but not historically accurate since Christmas was not widely celebrated in New England in Louisa’s childhood. Thanksgiving was a bigger holiday. May have to look for this one for the nieces when they’re older… they’ve been dragged Christmas shopping in Concord their whole short lives! Hmm, interesting, good to know.